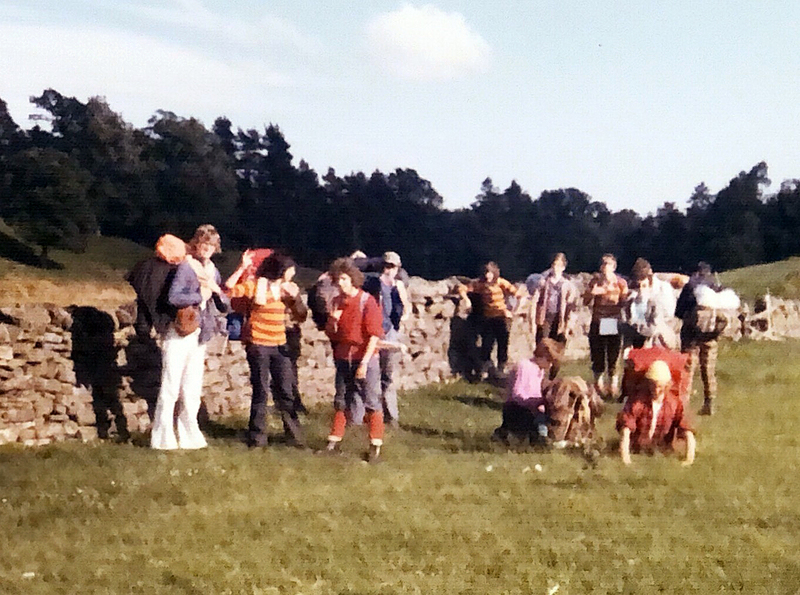 The Pennine Way walk - not sure what year -( around 1972? ) Niel Caddick left but can anyone name anyone else ? Leave comments below. Martyn writes " I think the person in white loons at front is Dave Fitzgerald. One leaning on wall at the back Nigel Morris? This is some of the information, re Len Kneller. Lenard Kneller 9th January 1930 – 10th June 2011 – My cousin Len. I first met my cousin Len just after the war, about 1946. I was only just 5, and he would have been about 16 and had already developed quite a strong personality. And was well on the way to becoming a “Black Belt” at Judo, which he was by the time I really got to know him later in the early 1950’s. He also did Karate, although I have no idea to what level, but he was teaching some of his students, and I was also bending six inch nails and trying to break planks of timber and bruising my hands in the process. Incidentally another cousin of ours, ‘Terry Hart’ he lived in the ground floor apartment below Len in Edgington Road, Streatham, and he was about to become the youngest ‘Grand Chess Master’ at that time, and was still at school. Terry and my Father were the only people that I knew at the time that had beaten Len when playing chess, although Len always said that my father just bored him into submission. Len taught me to play and I became quite good, but not that good. Len and I cycled from South Norwood in London to Brighton and along to Black Rock on numerous occasions, there and back in the day, starting in 1955, going down the A23 and coming back through the country lanes, not a lot of traffic in those days. Usually making a round trip of about 120miles according to the little trip meter on the wheel. I used to see Len twice a week when I left school for lessons, as apart from being quite good at cricket and woodwork I barely knew my times tables and ABC, and without his help I would have been dead in the water. He quickly taught me enough maths and a little science so that I could pass a test and gain entrance to the Croydon Technical Collage and do all the work that I should have done whilst at school. He also got me started in weight lifting, which eventually found me being trained by ‘Darth Vader’ another story, not really part of this one. Len had decided to teach himself to play the piano and the guitar, which he did by simply working on the fact that music was just pure mathematics. Don’t ask me to explain it, as although I went up to see him at the piano in the school he was teaching at, and saw him put it into practice, I still to this day don’t really understand how, even though I stood and watched him do it. The weight lifting bit was that he had a half hundred weight piece of iron next to the piano, for some reason, and when I asked him about he just said “Do you want it” and stupidly I said “Yes” and struggled home with it, about ¾ mile away, and that started me weight lifting. In the mean-time he was, after about six weeks playing some quite recognisable music, and with no professional help at all. Just his knowledge of maths. Len and I bought our first motorbikes at about the same time in 1956 and then in June 1957 we both rode our bikes to ‘The Isle of Man’ and took the opportunity of riding round the TT circuit at a time just before the famous race when it was okay to ride the route more or less as fast as you wished, and we went round the 37mile course 3 times, Len being a little more sedate than me, and I of course scaring myself stupid. I often wondered if he ever graduated to a motorcar whilst in the ‘States’ I never thought to ask him in any any of my numerous emails later on. By this time, he was teaching and at the same time still studying various subjects, including as you would know, mathematics. 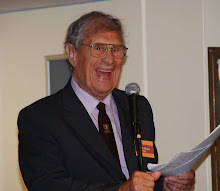 Len had done some of his studies at Loughborough University which specialised in sports, and when working to get the first stage of a medical degree, he was so far ahead in his studies that he had about 6 weeks to spare before sitting the exam, so he studied for and passed a degree in “Divinity”. Len did start work on a second level in medicine, I can recall that he was doing this at London University and he prepared one paper which involved the story of taking just one step and the effect it had on all the other parts of the body, and he was highly praised for this work. Although he did not complete this course before he left the country. He was fluent in many language’s, German, French, Latin, Greek, Manx, and Welsh, the last two I was with him on a number of occasions when he was conversing with people in those language’s. Also others, such as Esperanto. He told me at one time that he spoke 8 fairly well and a couple more not so well. He studied Russian and its history, but how far he got with that I can’t recall, other than telling me that in the 1920’s it was reckoned that about 20% of the country was still living in the stone ages? 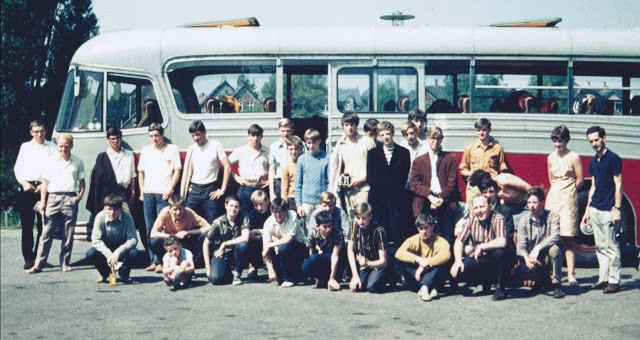 As you will know he had a lot of students that he helped over the years, and one in particular, about 1960, was working on the Buses as a ticket collector and wanted to become a teacher and Len taught him enough so that he could get a place at “The Royal Holloway” nr Staines. I went to this university with Len a couple of times to see this chap, and he passed all his exams and went into teaching, which he did until he retired. 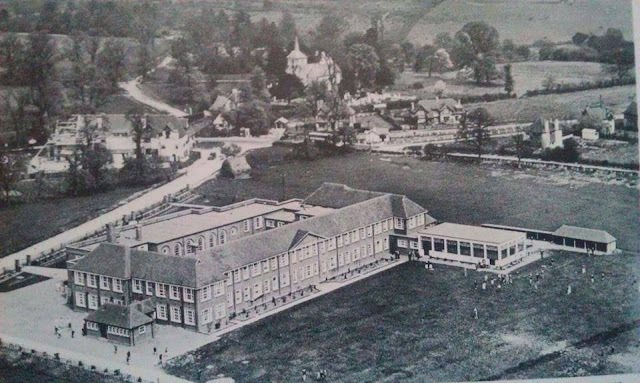 After Len left Birchanger Road School he went to Purley Grammar School. I went to see him at the school a couple of times. A chap I know from my golf club, John Davies was a pupil at Purley, 1958 – 1965, so he would have been there when I visited the school. Len was John’s Maths teacher at the time and John would become the manager of my golf club, ‘Hindhead Golf Club’ some 50 years on, and then later, the secretary of the Surrey PGA. 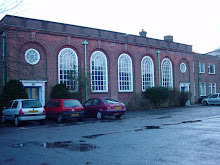 Then after he left Purley Grammar Len went to teach in a Quaker school in Saffron Walden, and at this time his mother died, his father had died when he was 9 years of age, in 1939 and his mother, one of my fathers many sisters would have been the last of his immediate ‘Kneller’ family. Len had never kept in contact with anyone else in the family other than my mother and father and myself, and occasionally the Harts in the flat below, but only to say hello when he saw them. He never said why this was the case. 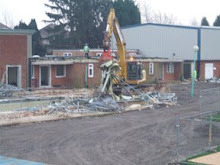 After the Quaker School he went to work at the “Saint Hill Scientology School” East Grinstead. Len became involved in Scientology back in the 1950’s when on one of our frequent London trips at the weekend, we just out of interest went into their head office in Red Lion Square, and sat in on one of the frequent film lectures, with Len Hubbard, the founder, pontificating upon the many benefits of Scientology. The main reason for being in London that day was that Len was a member of “The London Society of Magicians” (Next stop “The Magic Circle”) and we were going to see a show put on by the members during the evening. And just out if interest, in the entrance was an exhibition of colour television, about 10 years before it became available to the public. Len as usual found more in it than I did, I just found it rather boring but he clearly became hooked and was involved for some years before resigning and moving on to Crawley Comprehensive School where as you know he became the Headmaster. A little while earlier he had been studying for a degree in advanced mathematics at London University and was so far ahead in his knowledge that he was actually tutoring the class lecturer the previous evenings so as to get the teacher up to speed and keep him ahead of all the students. Len was a very good friendly, motivating person. My father was best man at Len’s wedding to Pat on 6th August 1966, they divorced later on before he went to Canada, where he married Shirley McMahon, and they were married until Lens death in 2011. Now then, a few stories abut his time in Canada and The USA. He had done so much teaching including starting a school for the chronically sick in St Benedict’s Hospital in Tooting were he taught students every weekend from the age of 23 to 65, and all of them bedridden. On the day he left for Canada, and I quote “A few hundred of my students cut school to come to Gatwick Airport to see me off. Two of my advanced math students used their problem solving skills to get through security staff and onto the plane I was on” This story was in the British papers at the time. “Quite an adventure for them” he said. After staying in Canada for some time Len went to Chicago on vacation and got a job there as a science editor, and shortly after he left Canada and went to live in America. Eventually the publishing company was sold and all the editors were fired. I quote “Standard procedure in America. It happens with every edition of Encyclopaedia (He gave me the name, and one you can probable guess without too much trouble) As soon as it is ready for printing they fire all the editors”. He then went to ‘Bell and Howells’ DeVry Collage to teach mathematics of electronic circuits to, as he wrote “High school drop outs” and his students were so successful that middle management got scared as upper management were making enquiries as to why standards had gone up so much. Len was the only one that could explain, but as he wasn’t management nobody asked him, and he was out of a job again. So he then took a job selling printing throughout Chicago, as one of his hobbies in England been about high quality printing and paper. He later on left that job and founded a newspaper in Chicago. It’s a very big city with many neighbourhoods, some bigger than English cities. And he ran the newspaper, “Contemporary Times” funded by advertisements. “Great fun” he said and he wrote the whole paper himself in nine different styles under nine different names, apart from one Column, which was written by Shirley McMahon. She wrote the recipe column in every issue. Len sold the adds and distributed the whole thing, about 30,000copies per issue. Now, the reason why he changed his name, and I quote from his email 21st Oct 2005. “Eventually Shirley divorced her husband who was an alcoholic and we got married in 1978. I changed my name to Douglas Buchanan as one of the wedding presents. So that she had her maiden name back when we were married. The Americans have tin ears to foreign names and Len Kneller over the phone ALWAYS turned into ‘Glen Miller’ I didn’t want to inflict that on Shirley, hence the name change”. And as he was the last of the Kneller’s, that he knew about, no one was left that would have been bothered at all. 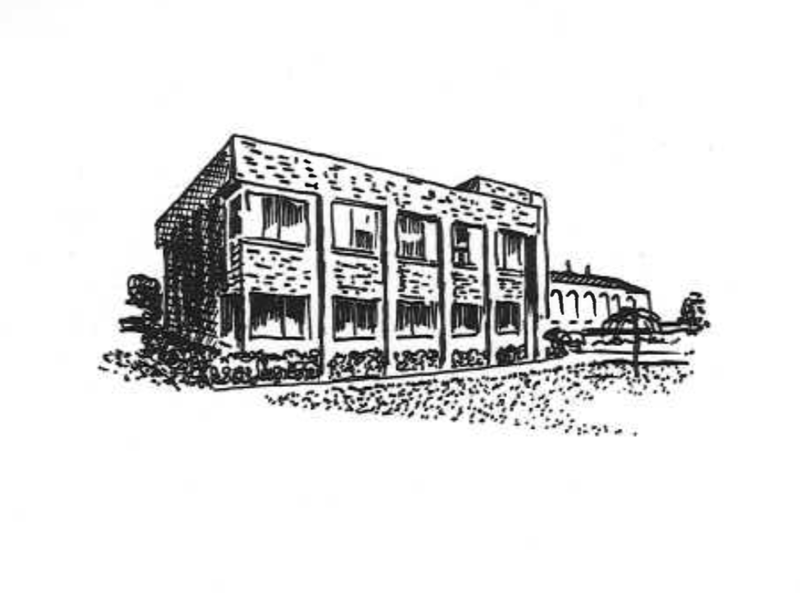 He then said “We then moved to Park Forest about 40 miles away and gave up the paper to a group of writers. It lasted two issues”!!! This he did for some time until he developed cataracts due to working in a Southern exposure when painting the signs on windows for local businesses, he spent days working on six huge windows, with all the wording having to be done backwards as the owner wanted them inside to stop the local ‘Varmints’ scraping them off. He then started a new business “Artistry in Wood” as a wood carver and carved dozens of custom made wedding present and presentation pieces until the cataracts got so bad he had to stop that too, as it was getting too dangerous using the sharp tools required. Len was also writing a book on mathematics for an American publisher at the same time as his eyes were getting worse, he could do this as the computer screen did not cause reflection problems the same way as paper did. He then had the cataract surgery. What he thought about America was written on his blog site, which as he stated in one of his emails, had quite a few hundred readers in a couple of dozen countries, and this he thought would have made his FBI file even thicker than it was. He was also at the time “facilitating Reiki support groups and teaching Tarot, Kabbalah, Celtic magic, Runes and other metaphysical subjects to private students”. We had lost contact with Len here in the UK until another of our cousins, ‘Diane Hart’ Terry Hart’s sister made contact with him, just by chance in 2005, through “Friends Reunited” and from that point on he sent email after email to me, but I have not found any one else in the family that he contacted. Unfortunately, at that time I could not find a printer that was compatible with my Amstrad phone/emailer, so could not print off the first lot of emails that he sent me about his time in Canada. I have often wondered if they are still out there and could still be retrieved, as his time in Canada in the 1960’s was quite interesting, and his emails very descriptive. And all because Len could see that I was a late starter, and not the dimwit that my father said I was, later on, even his attitude changed. Len was able to motivate me into studying, mainly by simply explaining the connection between what I was learning and how it was applied and its use in real life. I hope that this potted history about Len will fill in a few gaps, having read some of the records on your website you already have quite a lot of information about him. What you use is entirely up to you. Kind regards. William Beresford – Hales…Bill for short. Air raid shelters were built in 1940 so this photo pre-dates that period. I was on that trip in 1968. I’m the tallest person in the back row. Hanko Van Beinum was standing next to me in the yellow shirt. I can remember several faces, but alas only a few names. 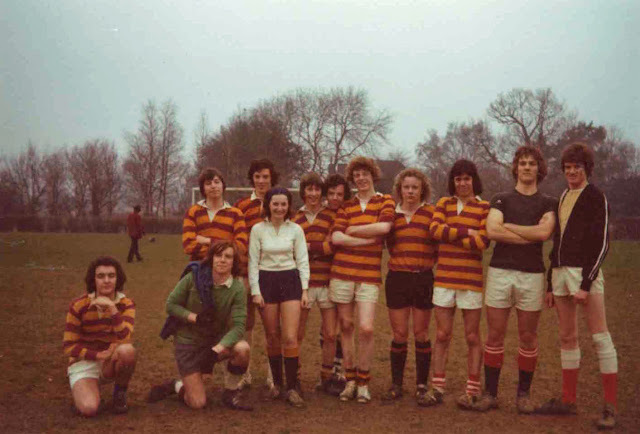 I think it’s Richard Collier (3rd from the left back row, with coat on shoulder), and Steve Dawe fifth from the left in the back row. 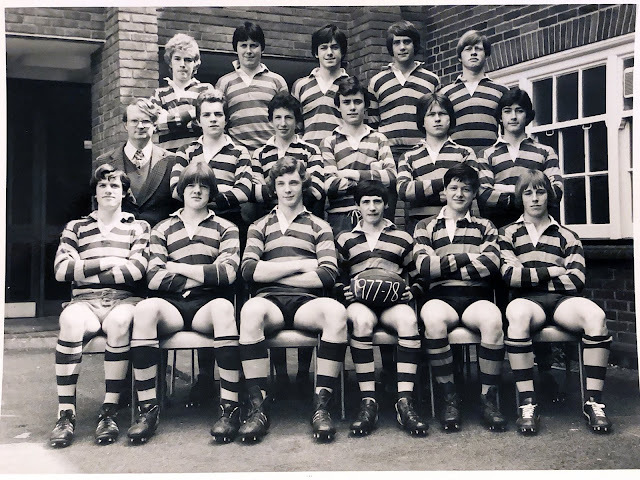 I know that Peter Shaw was on the trip, and suggest that he might be the first person on the left in the back row as I remember that he wore glasses, and I can't find him anywhere else in the photo. It was a three week trip across northern Europe to Stockholm full of many adventures. One of which many will remember was the free tour of the Carlsberg brewery at Copenhagen that we discovered on our free day there when we left to explore the city. The highlight of the tour, was at the end when the tourists were allowed thirty minutes in the Tasting Room sampling free lager. I think I went round three times !! Happy days. Paul Hobday ( PGS 1967-74 ) has just published his first book. Paul Hobday ( PGS 1967-74 ) has just published his first book. Well done to anyone who has come through the school and is able to string that many words together. It is "not for profit" and all the proceeds go to the charity - here is the link to buy a copy at Amazon. Taken after the game - Miss Maitland did not actually take part in the soccer. L to R - Tunstall, Kennedy ( Green goalie sweater ), Baker, ? , Miss Maitland, Flippance, Vose, Tucker, Atherton, Day, Bealey, Peaty. Anyone know what happened to Brian Nutter ? Anyone know what happened to Brian Nutter ? There has been an appeal from Mark Bowis. We were good friends and loved to talk about the previous night’s episodes of Porridge and Colditz! I was one of those faceless pupils that went through my time at the school without being noticed except by Mr Wozniak who had it in for me, probably because I had a sense of humour! Ps. I got the cane from DGS once for laughing during assembly!" Let me know via the comments box if you can help.